The Dri-Eaz LGR 3500i is a dehumidification machine that controls moisture and humidity levels in water damaged areas, unlike any of the other commercial dehumidifiers on the market. The 3M High Airflow Filters (HAF) capture more moisture, and assist in the prevention of mold remediation, simply by capturing all the bad stuff in the filter, and letting the humid air enter the unit to be cleaned. 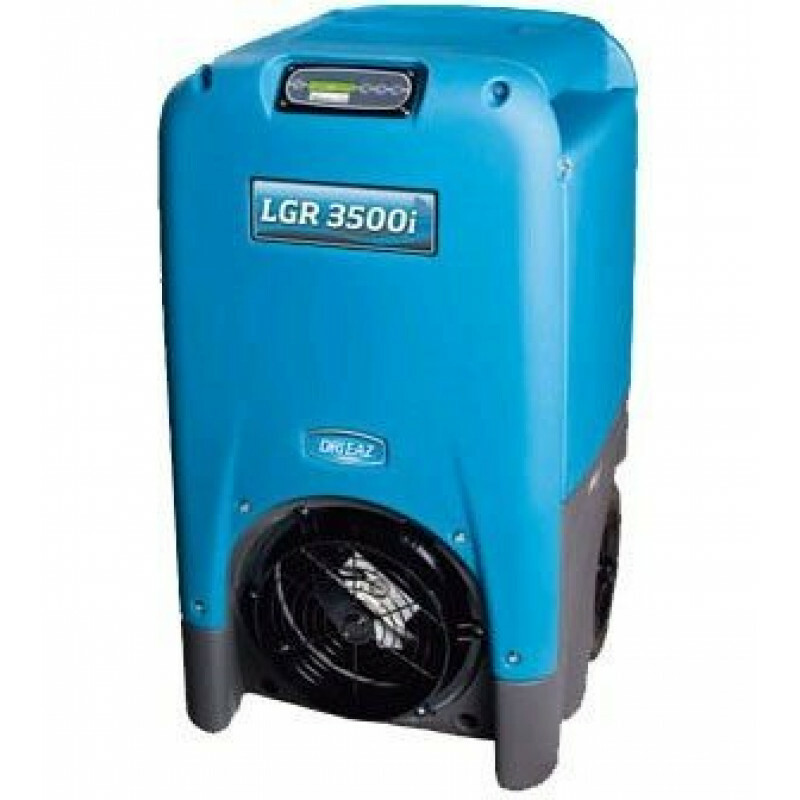 Besides being great for any type of water restoration job, the LGR 3500i dehumidification machine can be used in offices, computer rooms, health care facilities, construction jobs, and fire repair jobs. This dehumidification machine can be used in conjunction with the remote moisture monitoring system, and you can keep an eye on your daily job performance progress. The monitoring system allows you to record your results for progress tracking and report development. If you're looking for something with the same kick, but with a slightly smaller price tag, take a look at this model's baby brother, the Dri-Eaz LGR 2800i. Both units are built on the same body frame, only difference is the recovery. This model, the 3500i, recovers up to 30 gallons per day under optimum conditions, where the 2400i only recovers 25 gallons per day. Can be hooked up to remote monitoring software, so you can always have an eye on your recovery jobs. Dehumidification machine can recover up to 30 gallons per day under optimum conditions. Reusable 3M (HAF) filters - vacuum and reuse up to 3 times before replacement. 40' drain hose allows you to place your dehumidifier where you need it. Durable rotomolded housing assures no dings or dents, keeping your machine looking new and professional for years to come. Microban® product protection resists the growth and spread of mold. This is a review for the Dri-Eaz LGR 3500i Commercial Dehumidifer - 30 gals/day Max Removal.